Your wait for the dream gadget is over as Apple has unveiled all new Apple iPhone 6S and Apple iPhone 6S Plus with new 3D Touch Technology on Wednesday 10th Sept 2015 at the Bill Graham Auditorium in downtown San Francisco will be available in Silver, Gold, Space Gray and a new Rose Gold finish colour option. Apple iPhone 6S will cost you $649 for 16GB, $749 for 64GB and $849 for 128GB and Apple iPhone 6s Plus will cost you $749 for 16GB, $849 for 64GB and $949 for 128GB. It will counter Samsung Galaxy S6, Sony Xperia Z5 and HTC ONE(M9). Apple soon going to launch it’s affordable smartphone, Apple iPhone 6C probably by this fall. The all new Apple iPhone 6S comes with a the same design of iPhone 6 support 4G LTE and NFC runs on Apple iOS9 with iCloud and Apple’s latest A9 quad core processor to ensure superior multi-tasking with faster 2GB RAM and 16GB/64GB/128GB Internal memory. Apple iPhone 6S comes with a 4.7”-inch HD 3D display with 1080p resolution sporting a 12-MP iSight rear camera with Dual-Tone LED flash and 4K resolutions using HDR image technology and 5-MP front camera fro selfi and video calling powered Non-removable Li-Po 1715 mAh battery with talk time Up to 14 h (3G) and standby time Up to 240 h (3G), Music play up to 50 hours with new advance Wireless charging system including Improved Touch ID fingerprint sensor, Siri, Air Play, Air Print and cloud. The all new Apple iPhone 6S Plus support 4G LTE and NFC will run on Apple iOS9 with iCloud and Apple’s latest A9 quad core processor to ensure superior multi-tasking with faster 2GB RAM and 16GB/64GB/128GB Internal memory. Apple iPhone 6S Plus comes with a 5.5”-inch full HD 3D AMOLED display sporting a 12-MP iSight rear camera with Dual-Tone LED flash and 4K resolutions using HDR image technology and 5-MP front camera fro selfi and video calling powered Non-removable Li-Po 2915 mAh battery with talk time Up to 24 h (3G) and standby time Up to 384 h (3G), Music play up to 80 hours with new advance Wireless charging system including Improved Touch ID fingerprint sensor, Siri, Air Play, Air Print and cloud. 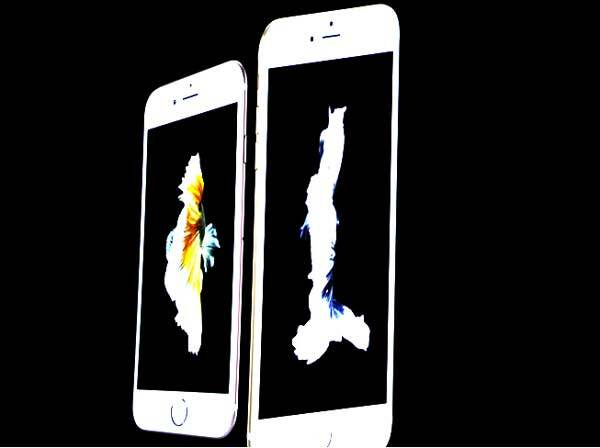 At last I would like to say that Apple iPhone 6S and Apple iPhone 6S Plus coming to replicate the success of it’s predecessor. What you think? Please be open to give your view.